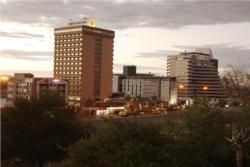 As the capital city of Namibia, Windhoek is the economical and administrative hub of the country. With an estimated population of 300,000 people, the city has grown into a fully fledged metropolis with all the amenities and luxuries one would expect. Quaint little shops line its main street and fabulous restaurants serve great food. Windhoek has a rich history which started off with Jonker Afrikaner settling around the hot water springs near the city centre in 1840. He is accredited with giving Windhoek its name, originally Winterhoek. The Herero referred to it as "Otjomuise" - "place of steam" while the Nama version is "|Ai Gams" meaning "hot springs". Rhenish missionaries Carl Hugo Hahn and Franz Heinrich Kleinschimidt arrived in 1842. The settlement was abandoned shortly after due to civil wars between the indigenous Nama and Herero groups. It was resettled in 1890 when German Major Curt von François started construction of the Alte Feste fort. After its completion the settlement quickly grew into a town of note with businesses and schools built to support the inhabitants. 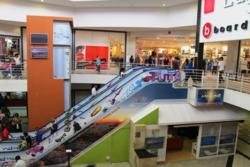 Today Windhoek is a quite beautiful and clean city located between undulating hills. Many old buildings still exist today such as the 3 castles and historical monuments. Various historical and cultural tours can be enjoyed in order to explore the city’s wealth. The suburb of Katatura exhibits history from Namibia’s more recent past. Known to the local Herero communities as "We will never settle", the area was proclaimed by the South African government during the apartheid era. Today the district is a proud cultural hub with a few shebeens and restaurants offering visitors the chance to experience traditional meals and drinks. 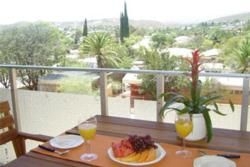 Windhoek offers beautiful accommodation establishments, from luxury hotels to charming guesthouses and shops are filled to the brim with goods. 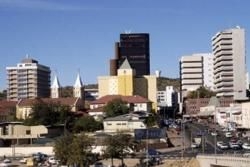 Windhoek offers visitors a chance to experience Namibia in its modern heyday and is worth at least a two night stay.